This coming Father’s Day, give dad a timeless gift from TechnoMarine, one which perfectly embodies his tough and strong nature, yet also captures his passion to live life deeper. 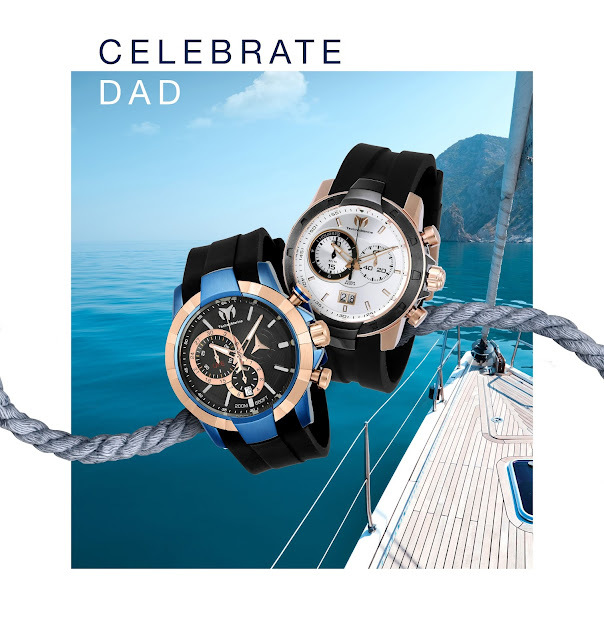 With 30% discount on selected men and unisex TechnoMarine watches, dad can finally feel how much he is appreciated and respected. Visit TechnoMarine boutiques at SM Mall of Asia, SM Megamall, SM North Edsa, SM City Cebu, SM Lanang Premier, TriNoma, Greenbelt 3, Robinson’s Galleria, Robinson’s Magnolia, Shangri-La Plaza, and all MyDiamond boutiques nationwide, or follow TechnoMarine on Facebook: https://www.facebook.com/TechnoMarinePH/.